There are many hidden gems in Vermont and when it comes to beautiful historic barns, The Barn at Boyden Farm, just up Rte. 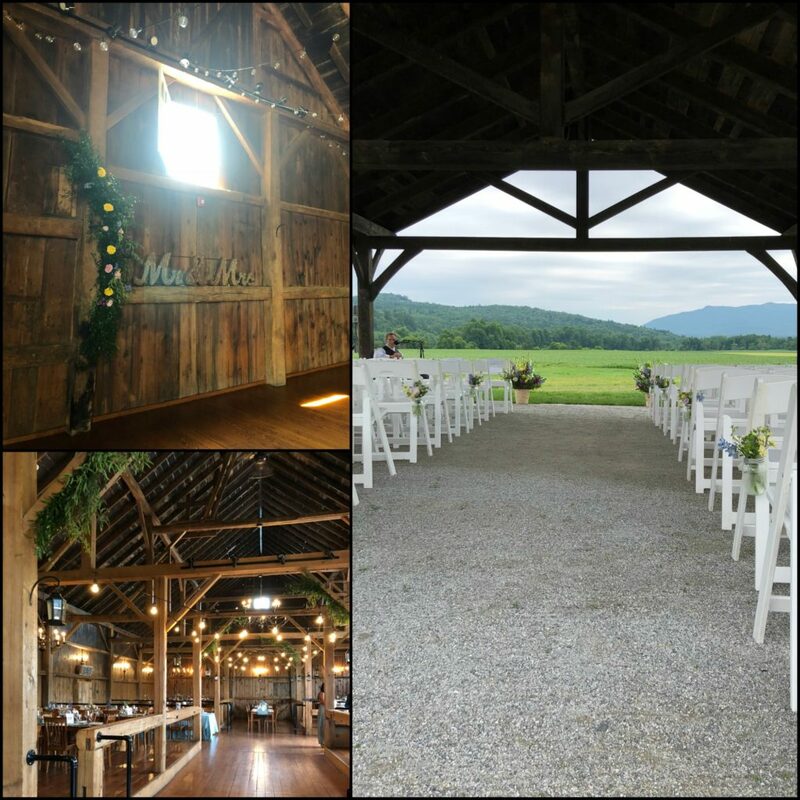 15–not too far from my home in Jericho–is not only an authentic Vermont wedding barn, it’s also a working farm and winery. 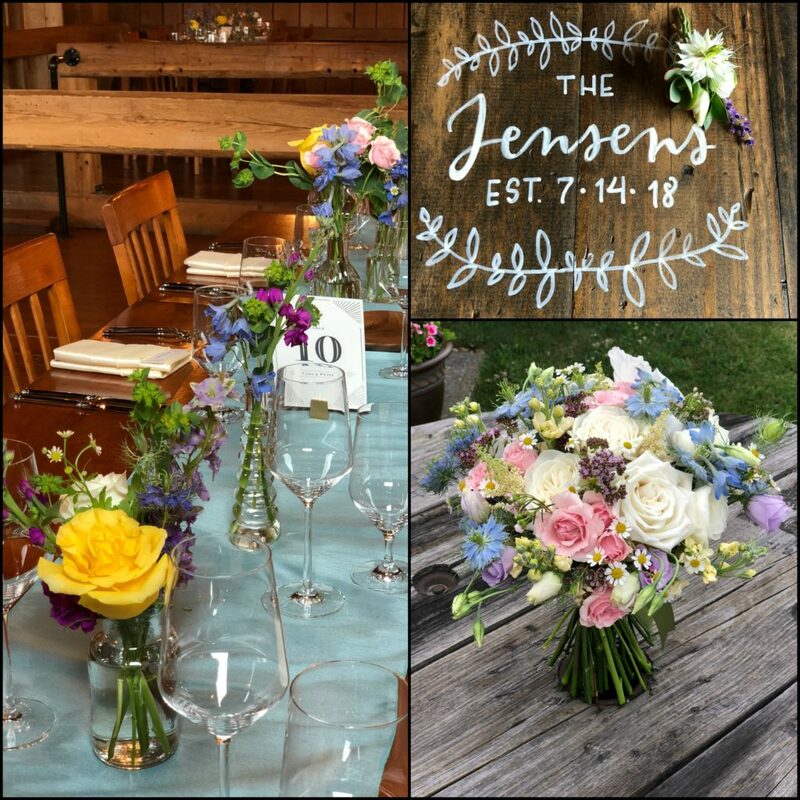 The flowers for this wedding were inspired by a casual, country-inspired feeling with a palette of pinks, blues, yellows and greens with touches of purples and lavender. 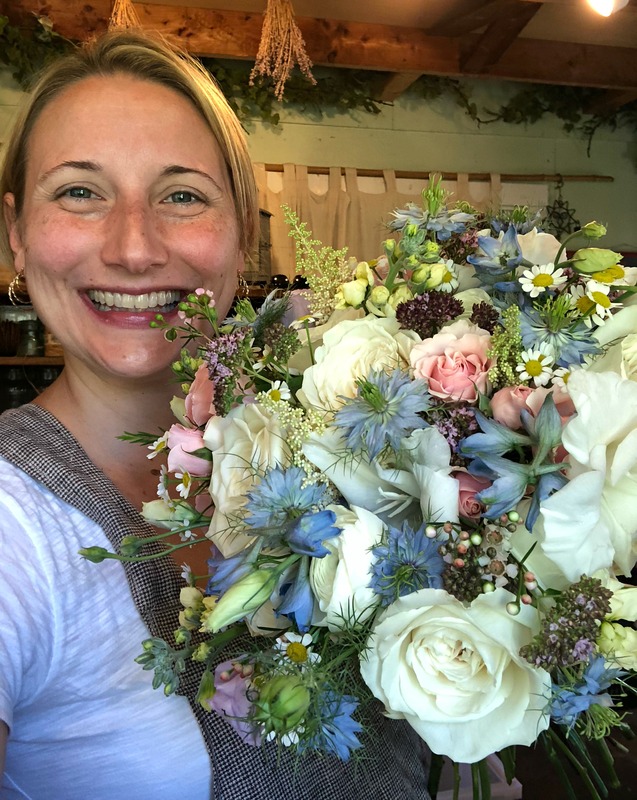 Featured flowers include nigella, delphinium, roses, spray roses, sweet peas, stock, lisianthus and touches of fresh herbs. In any season, the setting at Boyden Farm is beautiful, but on this particular day in July, we decided to stop at the winery before heading home for the day to enjoy a glass of wine on the patio and treat ourselves to a cheese board. It was fun to listen to the patrons on the porch “ooh” and “ahh” as the wedding ceremony began and the bride walked down the aisle. I hope you’ll enjoy a few pics I took during our set up! Greens add such a fun pop to wedding spaces. 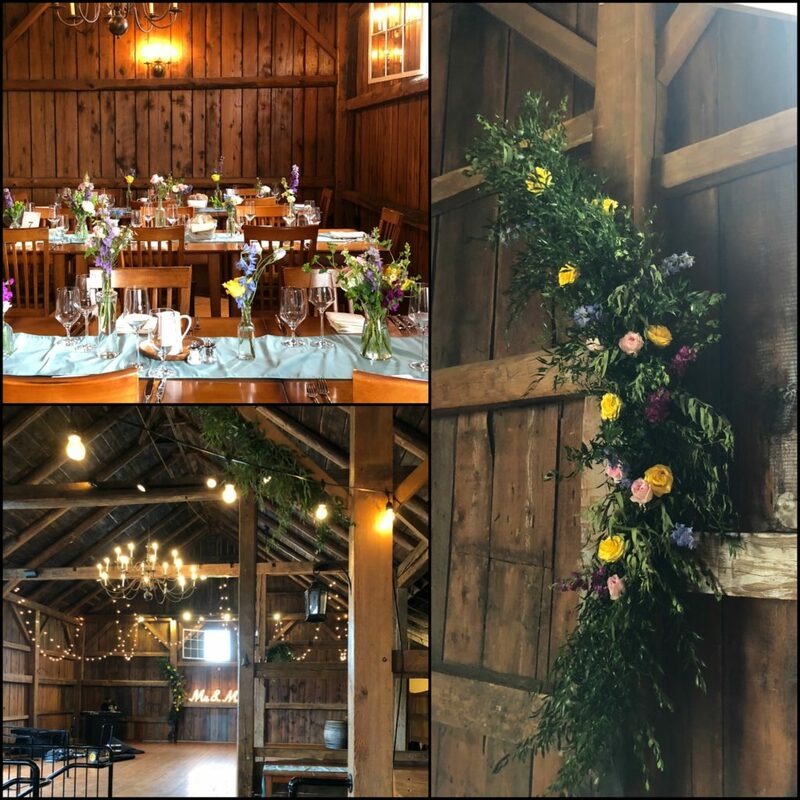 Greenery hung from the post & beams in the barn and added a romantic, natural element to the beautiful wood barn. A swag of greenery and fresh flowers adorned the dance floor to add an unexpected floral element to the space. It was a beautiful day for a wedding at The Barn at Boyden Farm.